Once again MSNBC desperately looked for a way to inject race into Mitt Romney’s presidential campaign. 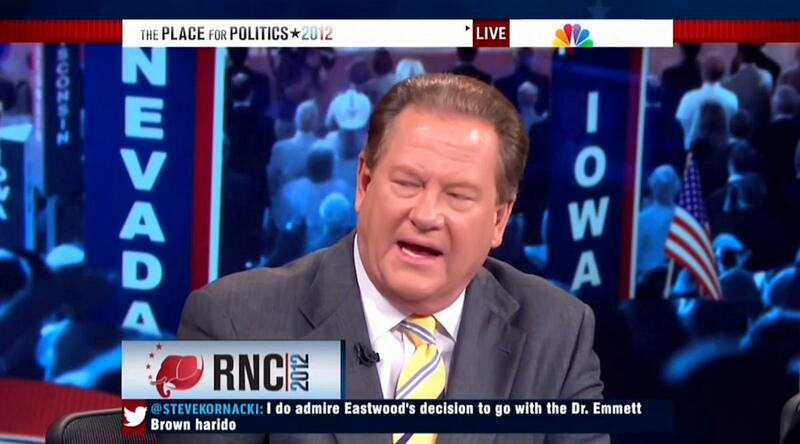 Following his convention speech, Ed Schultz felt that Governor Romney’s comments on American exceptionalism was a "line to the birthers tonight." Schultz’s specific critique came after Mr. Romney said, "when the world needs someone to do the really big stuff, you need an American." Tonight that American flag is still there on the moon. And I don’t doubt for a second that Neil Armstrong’s spirit is still with us: that unique blend of optimism, humility and the utter confidence that when the world needs someone to do the really big stuff, you need an American. That’s how I was brought up. As we at Newsbusters have documented, MSNBC has accused the Republican Party of using racial code throughout their convention, so such comments by Schultz should come as no surprise. Schultz’ disgusting slurs expose the racial mind set of those at MSNBC and the purely cynical partisan nature of this network. ED SCHULTZ: Here’s another thing that jumped out at me, and you mentioned this a little bit earlier Rachel, “when the world needs to do really big stuff, you need an American.” That was the line to the birthers tonight. That’s what I think. That was the other line. You know, we’ve got to do big stuff, we’ve got big problems, we don’t have an American. How else are we supposed to take that line? To imply that the guy who’s leading the country right now is not an American. When the world needs to do really big stuff, we need an American. I think that was below the belt and it was a dog whistle, whatever you want to call it, it was a bone throw to the birthers out there that you know what I’m really not that far from you. RACHEL MADDOW: It struck me as the same way, I will say that’s why I highlighted it, it struck me as the same way, especially coming on the heels of his birther joke from this past week.